Former minister in the PA government claims that John Kerry’s “Jewish advisors” are to blame for the impasse in the peace talks. U.S. Secretary of State John Kerry’s “Jewish advisors” are to blame for the impasse in the peace talks, a former minister in the Palestinian Authority (PA) government claimed on Tuesday. It was unclear who Abu Zaida was referring to, but he may have meant Martin Indyk, the former U.S. Ambassador to Israel, who has served as President Barack Obama’s envoy to the peace talks. The comments come hours after Abbas breached the conditions of the peace talks by signing a request to join several UN agencies, using the fact that Israel has delayed the release of the fourth tranche of terrorists as an excuse for the move. Abbas obligated himself to refrain from such unilateral moves for international recognition during the course of the peace talks, restarted last July. 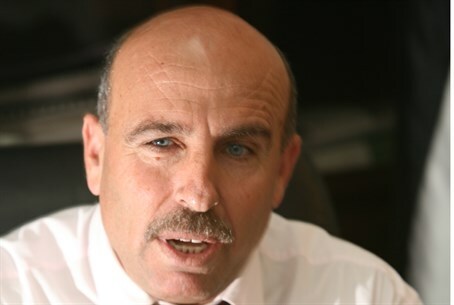 Abu Rudeineh accused Israel of thwarting the Oslo Accords because of its “wild settlement policy”, the latest manifestation of which was the publishing of tenders for 700 new housing units in Jerusalem. "The international bodies, and particularly the United States, must exert pressure on the Israeli government and force it to comply with its obligations regarding the release of the fourth group of veteran prisoners," he said. On Tuesday evening, as Abbas signed the request to join 15 international organizations, Kerry cancelled a planned meeting with the PA Chairman. He later clarified, however, that it was too early to declare that the peace efforts have officially failed. "It is completely premature tonight to draw...any final judgement about today's events and where things are," Kerry said at a press conference in Brussels. "This is a moment to be really clear-eyed and sober about this process."